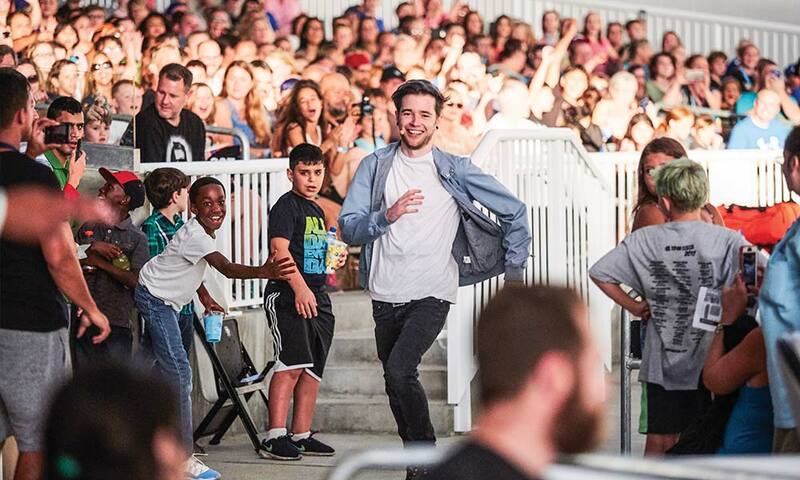 Dan Middleton, known online as DanTDM, before his show in Jacksonville, Florida, on 30 June 2017. Dan takes the stage in Jacksonville. 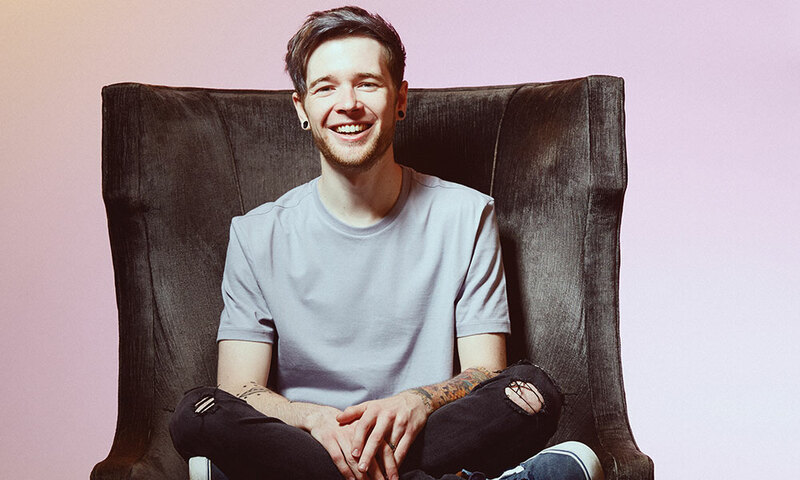 Around the world, 18,9 million subscribers watch YouTube videos created by DanTDM. His videos have been viewed 10,6 billion times. What does he do in these videos? He plays video games. What does he do in his new live show that is selling out theatres on three continents? We went to find out. When he was a boy, Dan Middleton used to dread this kind of thing – having to talk to people, getting attention. Even as he got older and started making his videos and quit his job at the supermarket – and even when he had 1 million, then 5, then 18 million subscribers to the YouTube channels on which he plays Minecraft and chronicles his life – Dan was much more comfortable when it was just him and a camera in his room over the garage. What has he got himself into with these live shows, in front of all those people? But kids will be here today, and kids give him strength. He knows these kids. He was one of these kids. They’re already here, standing out-side in a raggedy line that begins at the locked glass doors and ends some-where near the parking lot. The kids – it’s almost all boys – run circles around each other to pass the time, or they twirl their fidget spinners, or they plead with their parents for a phone to play with. Some of them carry pictures or posters of Dan. The glass doors lead in to a 5 000-seat theatre in Wallingford, Connecticut, a half hour from the closest city. Tickets for today’s show cost between $63,50 and $150 (R825 – R1 950), and it’s sold out. Almost every show on the 18-month tour has sold out, including two at the Beacon Theatre in New York, four at the Sydney Opera House, and 32 straight shows across the UK, where Dan lives. The North American leg is being promoted by Live Nation, the massive company that put on 26 000 events in 40 countries last year. The parents of the kids who are already here have been standing in line since 11:15 am on a rainy Sunday for a show that begins at 3, because they’ve paid an additional R1 200 for the chance to meet Dan, so that their children can see that the guy who they spend their Saturday mornings watching on YouTube is a real, live human. Inside, Dan sits in a plastic chair at one end of a large reception room – industrial carpeting, fluorescents. He wears a gray hoodie. Behind him is a black curtain hung from a metal frame, emblazoned with a picture of a Minecraft tunnel. In front of him is a cardboard cutout of a Minecraft cart loaded with Minecraft diamonds, with the words TDM ON TOUR. That’s his YouTube name: DanTDM. “The Diamond Minecart”. You have to play Minecraft to understand the TDM part, but it’s a clever name. At the meet-and-greet, 150 kids and their parents hug the walls of the room. When each child gets to Dan, he asks the kid’s name, answers nervous questions, autographs what-ever the kid puts in his face and poses for a photograph. At the end, he high-fives each kid, and it’s an enthusiastic high-five: if they miss, Dan repeats it until they get a good one. DanTDM doesn’t rush. He lets each kid talk to him, and he responds thoughtfully, and he smiles. He smiles at the ticket-buying parents, too, who can’t resist popping over to shake Dan’s hand and thank him for entertaining their kids. 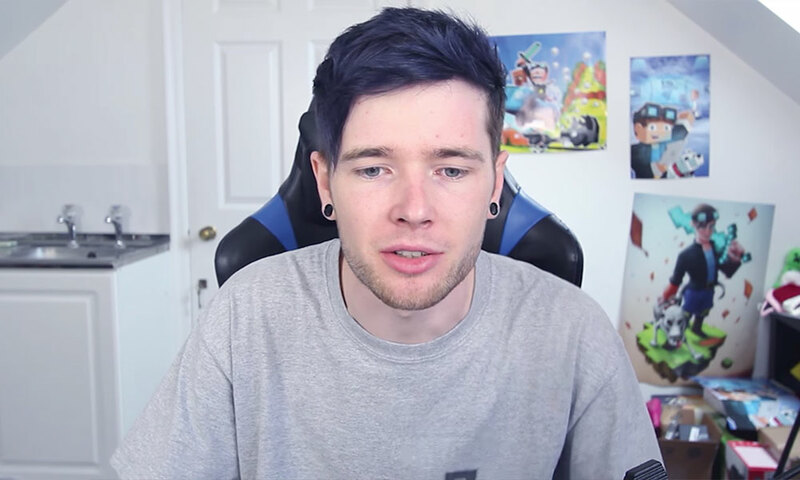 DanTDM looks the parents in the eye and thanks them back. If you’re a parent, it might seem preposterous. It might seem mind-numbingly stupid. Not just that your child wants to sit inside on a sunny Saturday morning playing a video game. No. Your child wants to sit inside on a sunny Saturday morning and watch a video of someone else playing a video game. The first time you witness your child doing this, you feel despair. Like the apes really are going to rise up and take over. Why, you ask your child, do you spend your time doing this, turning your brain to mush? Funny is good. So you sit on the arm of the couch for a minute to watch – to make sure it’s okay. No bad language, no inciting of illicit behaviour. And there’s not. You sit there for a minute, and then four minutes, and before you know it you’ve slid down onto the couch and watched the whole 12-minute thing, you and your boy, on a Saturday morning, post-pancakes. This guy – this guy is quite amazing, actually. 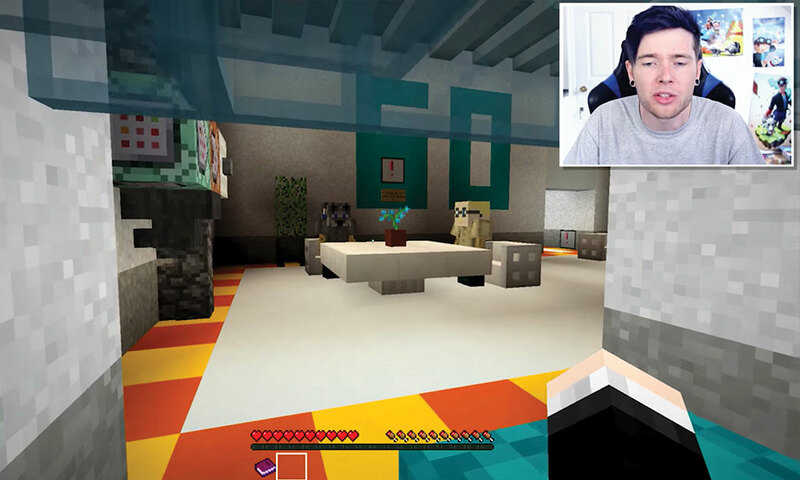 He first appeared on You-Tube as DanTDM in 2012, when he posted a recording of himself playing Minecraft, over which he spoke a fairly humdrum narration. 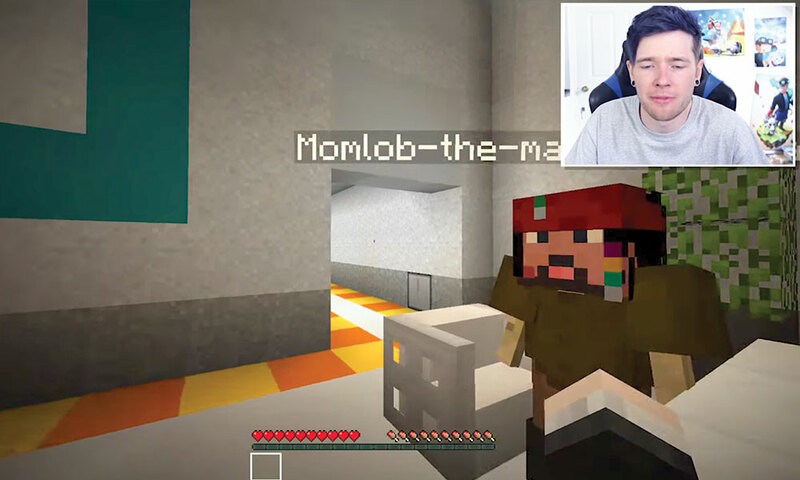 Today, his videos show him playing other games as well, but mostly Minecraft, his 25-year-old boyish face almost always appearing in the corner of the screen, his running commentary now lively and funny. He added a second channel, MoreTDM, a regular vlog of his life. He has a rubbery smile, punky hair usually flopped over to one side, and hole-in-the-lobe earrings. Minecraft is all about constructing things, buildings and landscapes, which makes it better than your average video game. 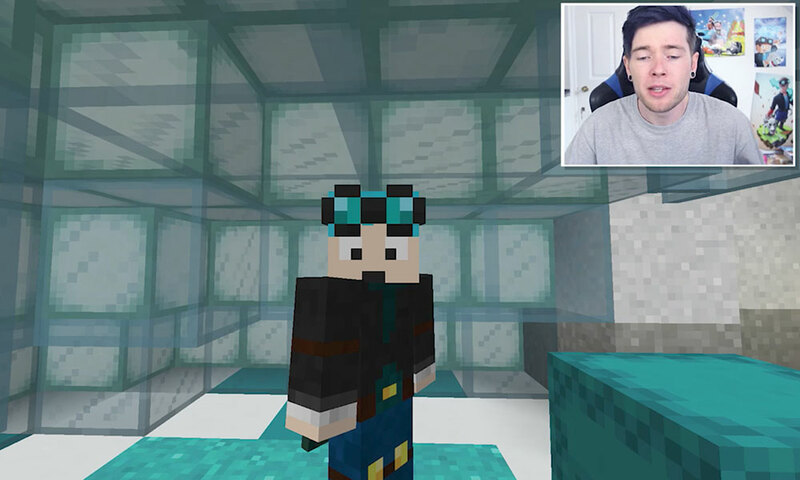 But to DanTDM, all that is a backdrop for his imagination, and he uses it to design entire worlds in which his imagination can live. He invents characters and talks to them. There’s a plot. 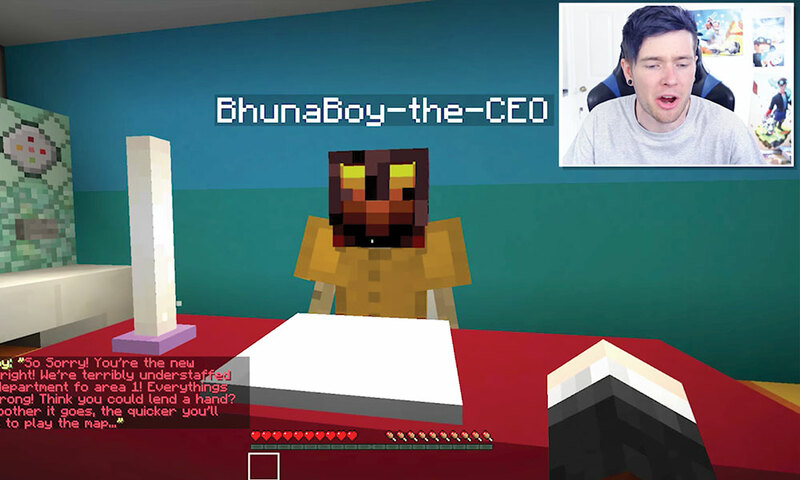 People – parents, kids, people who post videos of themselves on YouTube – wonder how one guy making Minecraft videos gets rich and famous and goes on tour while the thousands of other people who make Minecraft videos don’t. It’s not luck, really, or marketing or anything like that. DanTDM tells stories. “That’s when I initially got my popularity boost, I guess,” Dan says over the phone from his home in the UK, a few weeks after the Connecticut show. 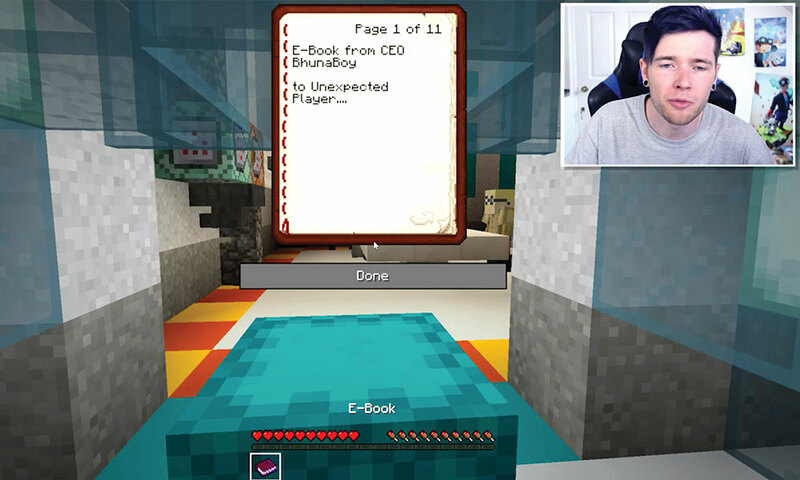 “I added that story element.” And DanTDM is good at telling stories. He’s Mister Rogers and Barney and the Wild Kratts and the kid from Diary of a Wimpy Kid. He’s a playwright and a cinematographer, a director and an actor. And he is good at all of these things. More than good. He gets 19 million subscribers to sign on to his YouTube channels and to watch him do it every day. Twice a day, when he’s not on tour. Dan records and edits every video himself, a process that can take between four and six hours per video, including the rendering. He has sponsors such as Telltale Games and Disney, and he has a new series on Red, YouTube’s paid streaming service. Based on YouTube views, his net worth has been estimated as high as R230 million, though that is unconfirmed. YouTube, I GET ROBBED IN VR!! There is about an hour between the meet-and-greet and show time. The families who have been here since 11:15 – it’s 2 pm now – wander the lobby. There’s a merchandise booth selling T-shirts and posters and stuffed pugs that resemble Dan’s. There’s a full bar. Dads drink IPA. Kids eat chicken tenders. There’s a new Toyota Prius on display, and a man from Toyota to tell you about it. Inside the theatre, a mom says to another mom, “What’s he gonna do?” The other mom answers, “This is so… I don’t know.” Lights in the shape of diamonds are projected on the ceiling. Seats are filling up. It also means, of course, that because anyone can do it, many people do it. But whereas other Minecraft YouTubers review products or game features, or do tutorials, Dan tells stories. His videos don’t aspire to be useful. They aspire to entertain. “I just like to make fun videos, I guess,” he says. On stage, he doesn’t play Minecraft. He doesn’t play any video games. He and two other players perform a 150-page scripted story about Dan and his evil twin, Evil Dan, who has trapped Dan in a virtual world and imprisoned his pugs, so Dan must escape back into the real world, also enlisting his friend Eve and a dozen or so kids from the audience at various moments in the show. The joys of living in the real world instead of a digital world is the leitmotif – it pleases the parents. (And it’s smart: “We’re all trapped in the digital world,” Dan says at one point. “It’s filled with cat videos, and you have to dodge comments about how much you stink.”) The kids? They just love Dan. They scream and cheer as he wrestles with Evil Dan and eventually wins.